All-Occasion Chocolate Cake and Vanilla Cake | sweet ravioli! 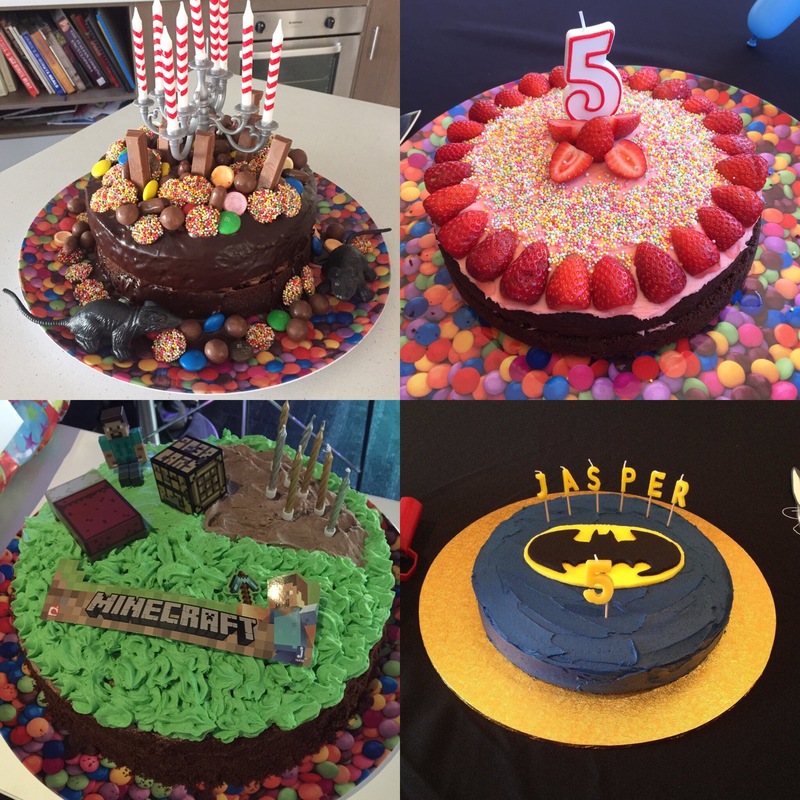 Annabel Langbein’s Ultimate Chocolate Cake is my go-to for when I need to make a cake for a crowd, usually for my children’s birthday parties. Its an easy one bowl wonder, with uncomplicated ingredients and a crowd-pleasing flavour and texture. I’ve made it in the recommended 30cm tin but also in two smaller tins to form a layer cake. Be aware that if you go with the latter option that the cake needs to be chilled before cutting. Because its a spongey cake and not the mud variety it can easily fall apart when cutting. You do sacrifice a bit of the flavour this way though (I think cakes taste better at room temperature). Just today I’ve experimented with the recipe and made a vanilla cake. Preheat the oven to 160 degrees celcius fan-forced. Grease and line either a 30cm cake tin or two 22cm cake tins. In a large mixing bowl (or bowl of a stand mixer) combine the flour, sugar, cocoa powder and baking soda and whisk to remove lumps and to aerate. Add butter, milk, vanilla and coffee and mix for a few seconds to loosely incorporate. Then add the eggs and mix until the butter has melted and you can no longer see it through the batter. Pour the batter evenly into your cake tin/s. Bake for around 50 minutes to 1 hour, or until an inserted skewer comes out clean. Let cool in the tin/s. In a large mixing bowl (or bowl of a stand mixer) combine the flour, sugar and baking soda and whisk to remove lumps and to aerate. Add butter, yoghurt, vanilla and hot milk and mix for a few seconds to loosely incorporate. Then add the eggs and mix until the butter has melted and you can no longer see it through the batter. Pour the batter evenly into your cake tin/s. Bake for around 50 minutes (if you are using two tins) to 1 hour (if you are using the larger tin), or until an inserted skewer comes out clean. Let cool in the tin/s.